Here at Anix Host we are on a mission to deliver the most cost effective, customizable, high performance infrastructure solutions in the market. We have been hard at work over the last 4 years building creative services that our customers can consume with little to no upfront cost. One solution in particular continues to stand out as a market leader in the ratio of cost to capacity and performance. We call it Managed Private Cloud. 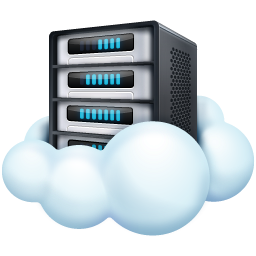 Other IaaS and Hosting companies have been marketing “hosted private cloud” or “hosted virtualization” for years. What we found, through our research, was that these solutions usually fell into one of two buckets. Either it was an expensive, completely privatized solution that leveraged “enterprise” technologies delivered as a monthly payment – or – a loosely thrown together collection of dedicated servers that mounted a shared SAN environment. What this meant to the customer was that they were sacrificing something. Customers that wanted to consume private cloud environments had to choose between OVERPAYING for an outsourced version of what they would typically buy and consume on premises, or utilize an INFERIORsolution in order to consume it as-a-service. We felt like there had to be a better way. We wanted to give our customers a truly private, highly available hosted private cloud that could meet even the toughest performance and availability demands. WITHOUT breaking the bank. We spent months building, testing, and integrating the right solutions that could stand up to the rigorous demands our customers would place on these systems. All while keeping total cost of ownership to our customers as absolutely low as possible. Our customers continue to get the same VMWare experience they know and love from their current on-premises environments and they leave the nitty gritty infrastructure work to us. Our partnerships with companies like Brocade, Supermicro, and Nexenta have allowed us to achieve unmatched performance and availability, while saving our customers up to 50% in TCO versus another provider or doing it themselves. Either it was an expensive, completely privatized solution that leveraged “enterprise” technologies delivered as a monthly payment - or – a loosely thrown together collection of dedicated servers that mounted a shared SAN environment. What this meant to the customer was that they were sacrificing something. Customers that wanted to consume private cloud environments had to choose between OVERPAYING for an outsourced version of what they would typically buy and consume on premises, or utilize an INFERIORsolution in order to consume it as-a-service.